Philip Alexander and the WiLD THiNGS Perform "Señorita Rita"
Philip Alexander and The WiLD THiNGS Perform "Can't Stop Fooling' Around"
Philip Alexander and Family Sing "Love Grows One By One"
The Family Singers at Faneuil Hall! Philip Alexander And The WiLD THiNGS perform "Pajamas In The Bahamas!" With Captain America and Thor! Dancin' at the Backyard Birthday Party! Sing, dance and laugh with a unique and talented performer! Popular entertainer and singer/songwriter Philip Alexander performs his zany original songs and stories with guitar, harmonica, ukulele, dulcimer, ocarina, boomwhackers and more. Perfect for parties, schools, libraries and festivals. Talented band features sax, fiddle, bass, drums, back-up singers. A lively concert to get the crowd dancing! A family trio with lovely vocal harmonies and a playful repertoire: Broadway to the Beatles, traditional folk to contemporary pop. The Von Trapps meet The Carter Family! 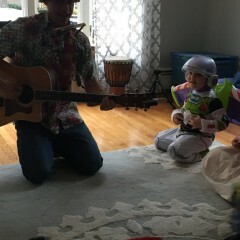 I'm not given to hyperbole or cliche, but Philip totally knocked it out of the park at our Halloween party yesterday. He was entertaining a somewhat diverse group of children, ranging in age from nine and a half--and way too cool--to just over two. He was consistently upbeat, fun, energetic, and creative. We could not have been happier. In particular, one guest who prides himself on discerning party planning, repeatedly commented that Philip did a phenomenal job. I'm also not given to repetition, but we could not have been happier. I couldnt have asked for a better performance from this crew. Fantastic barely reaches their awesomeness. OMG! Philip was the best part of the Polar Express! He sang and entertained our guests for 3 hours. The parents loved him, the kids adored him and the staff were impressed!!! He made our jobs much easier! Philip Alexander and the Wild Things performed at our Countsown to Noon event and I can’t say enough good things about their performance. They were very engaging and had the kids entertained for the whole hour. The kids were dancing and singing along. This was our second event with Philip and would definitely have him back for a third time! Highly recommend. Phil and his group were simply amazing. Many guests asked me to how did I find them. Thank you Phil and GigSalad! It was our pleasure to play for your wife's birthday party. You have a wonderful family and a great group of friends. Philip's performance exceeded all of our expectations. He engaged all the children ranging in age from one to ten. The children loved the musical instruments he provided and interactive songs. Thank you Philip for helping to make Charlotte's first birthday party a wonderful event. Philip was also fantastic to work with and performed all the requested songs. Very flexible and able to assess the preferences of the group he is entertaining. I would highly recommend Philip for your child's party! First time using gigsalad, first time hiring an entertainer and so first time having Philip. We were spot on and so lucky everything worked out amazing. Everyone knows recommendation is a good way to start searching for your entertainment. So here is mine! Philip was great fun and all my 20+ 5 to 6 years old children were having a blast! Your daughter is adorable! :-) It was a pleasure to sing, play and DJ for Beatrice and all of her friends and family. I am glad everyone enjoyed the jam session, party games, and disco dancing. great entertainer for a broad range of ages! Philip came to our event at our elementary school where we had close to a hundred kids of ages ranging from 4 to 11 years of age. He managed to keep all ages entertained. You could see how he kept tailoring the act on the go to fit the group of kids and their engagement. The event was a multicultural event and I asked him to include songs in different languages, which he did wonderfully. He had song in Spanish, France and Swahili. We have kids from different countries at our school, some knew the songs and were able to follow well from the beginning, but after a while everybody was dancing and singing along. Philip is very easy going, and he works with you to fit his act to your event. I was also surprised about how many parents already knew him and came to me to tell me that he was wonderful. We will definitely bring him back for other events! He is superb! Couldn't be happier with Philip Alexander! He was able to keep 15 kids, ages 1 to 6, and the adults fully engaged for the full hour of the performance. 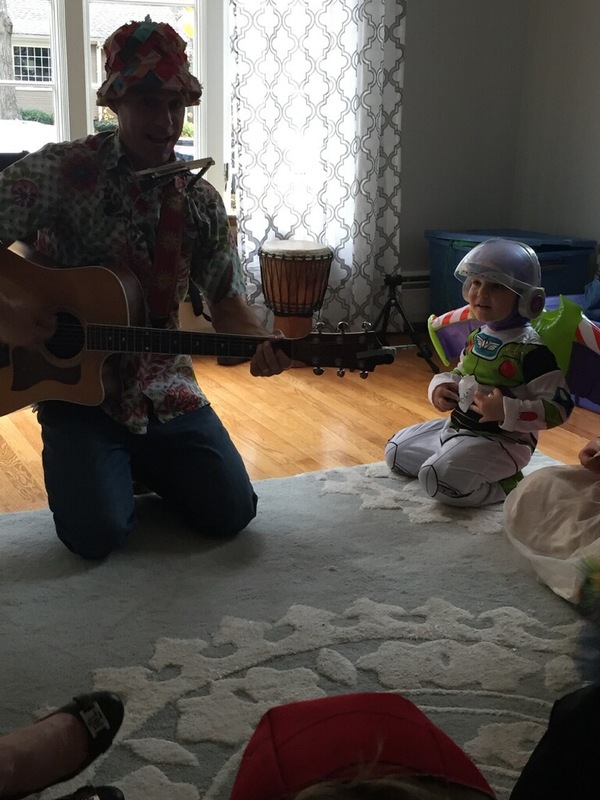 Highly recommend Philip Alexander for your child's next party! Phillip was amazing !! He was able to get the whole party, including adults , up dancing and singing ! The kids had so much fun with all his different sized instruments . He also did several songs in Spanish , which was great for my in-laws . Phillip was great with the kids , who were of different age groups , he made the music fun and relatable to all. My guests could not stop talking about how much fun they had ! He was also very friendly and patient , he tried his best to remember each childs name and spent special attention on the birthday boy and his siblings .My son , who had turned one had the best musical birthday , thanks to Phillip!! Awesome performer for a family-oriented event. Phil and his great musical family for the past three years have made our annual Christmas Caroling party a huge success and something the entire neighborhood looks forward to every year. They are absolute professionals and a wonderful part of this annual event. In fact - they MAKE the whole event very special. Highly recommend Philip Alexander, wonderful to work with, got people up and dance and singing along! Very happy and would contact him again for future events! We wish our new friends at Donahue Real Estate a Merry Christmas and a Happy New Year! Philip was outstanding, and all of us at the event hope to use him again. He was professional, on time, and so very helpful. His time with us at the special care reunion was wonderful and he worked with each person and age group to provide the kids with lots of fun. The siblings enjoy the party, the babies are young so I loved the fact the sibs ages 1 to 9 loved the party. Because they're babies, they need extra time and attention, and often times they get less attention. Philip was very aware of babies in room and kept sound appropriate. The staff of the special care nursery are already planning that I ask him back next year! Philip Alexander came to our house to help us celebrate my 2-year old birthday party. He did an amazing job and all the little ones had a great time. We couldn't have asked for more!! Thank you for making our event such a success! Philip kindly donated his time and talent to raise friends for Hospitality Homes. Philip along with The Wild Things and the Family Singers made for a fun day. 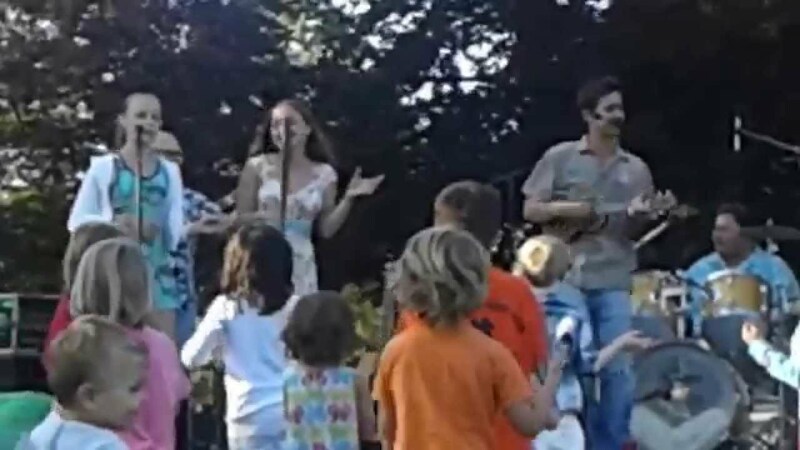 The full band led a family concert filled with energy, smiles, enthusiasm, singing, and dancing. Adults and children engaged together and were happy to have shared a Saturday morning with Hospitality Homes enjoying their beautiful music. Philip Alexander is truly a gifted performer. His love of music, family and humanity, is proudly displayed through his gift of music and song. My future son-in-law hired him to perform at a very intimate surprise engagement to my daughter on the Boston Common; and thus the beginning of the story was written. He not only learned a song especially for the engaged couple ("Marry Me", by Train); his lovely, talented daughter provided the sweetest vocal accompaniment. We were so touched by the moment, that we decided to write the second chapter to the love story by inviting the dynamic duo to perform at the couple's engagement party. If it is possible to improve on perfection, Philip achieved this. This time his wife joined in the serenade and they performed a melody of songs that touched the entire crowd and had the entire crowd singing, dancing and just feeling the love. Of course, the wedding won't be complete without their beautiful family and gift of song. This family has something special, beyond their melodic vocals, and they generously share their gifts. Thanks Nancy! We really enjoyed performing at Kim and Brandon's engagement party. It was such a warm atmospere of family and friends celebrating the two love birds! As Sophia said "They are the cutest couple ever!" 50 minutes of pure entertainment for little ones!!! Philip did a wonderful job entertaining my son & his friends at his 3rd birthday party. Phillip is creative and fun. He arrived on time and fully prepared. I will definitely recommend him to friends and family. Philip Alexander is one of New England’s premiere children’s entertainers. 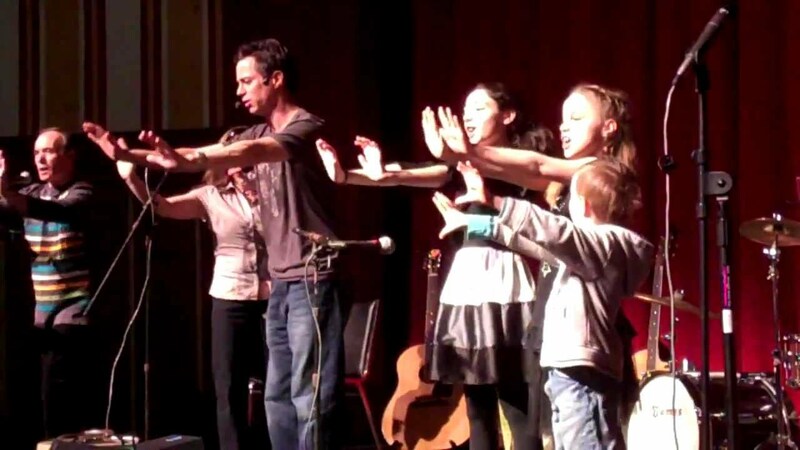 An alumnus of Boston’s renowned Berklee College of Music, Philip performs throughout the Greater Boston area delighting young and old alike with interactive performances featuring voice, guitar, dulcimer, bamboo flute, ocarina and percussion. Drawing from a wide repertoire of both traditional and multicultural music, as well as his own well-loved originals, Philip is expert in getting audiences to sing, clap, dance and laugh together! In 2008, Philip launched Sing, Play Grow, a music education program in the Greater Boston area offering weekly parent/child music classes, as well as enrichment programs and assembly performances in schools, libraries, and summer camps. Most recently Philip has entered the field of corporate leadership training with an innovative program that challenges participants to balance active listening with creative contribution —the core dynamic of group music — all while having fun playing boomwhackers!